Lower weight than any previous version of the Path+, yet with more power and longer range, the bike truly is a win-win. This is a bike that takes its cues from everything we love about European city bikes. The Shimano STePS mid-drive motor is smooth and intuitive, producing enough torque to climb the steepest hills and providing ample power for acceleration. Lower weight than any previous version of the Path+, yet with more power and longer range, the bike truly is a win-win. The rear rack battery is easy to remove, so you can charge it anywhere. 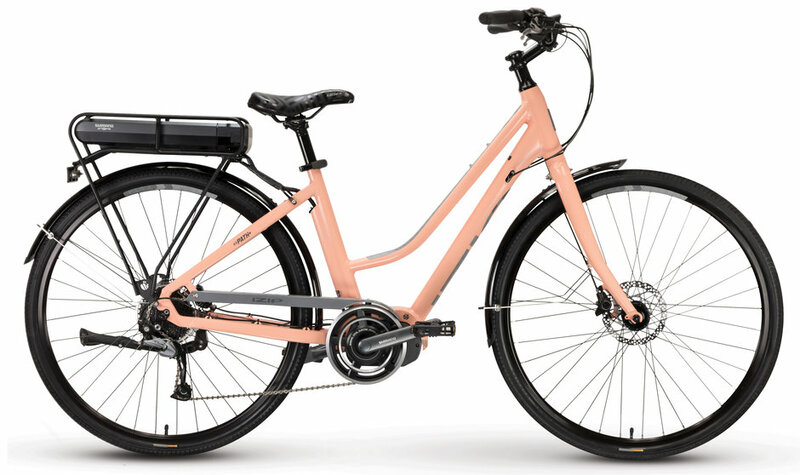 The Path+ sports 700c wheels for fast, smooth rolling, disc brakes for powerful stopping, and full coverage fenders to keep you clean and dry all the way to your destination. Assists up to 20mph. Range up to 60miles (100 km), based on terrain and riding style.